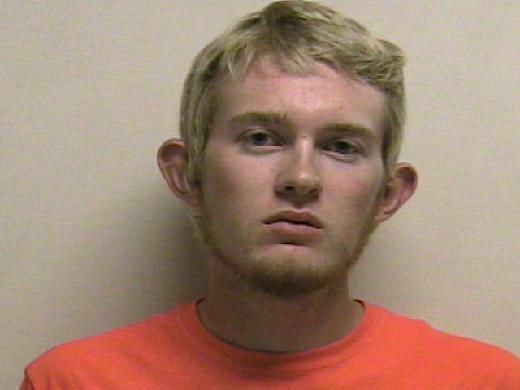 ST. GEORGE — An 18-year-old man was arrested on suspicion of murder after the body of a 16-year-old girl was found hanging from a tree in a Utah campground. Officials said the man recorded the girl’s death on a cellphone. Just after 7 a.m. Saturday, Utah County Sheriff’s deputies were dispatched to a report of a body hanging in a tree near Maple Lake Campground in Payson Canyon, according to a statement issued Monday by the Utah County Sheriff’s Office. Deputies arrived on scene and found a 16-year-old Spanish Fork girl who had died and was still hanging from a tree. “While still on scene, investigators were approached by an 18-year-old Spanish Fork man who said he knew this girl and had been with her when she died,” Sgt. Spencer Cannon said in a statement. Upon further investigation, detectives learned that the 18-year-old, identified as Tyerell Joe Przybycien, had purchased several items used to facilitate the girl’s death, the statement said. “Other evidence at the scene included a cellphone recording made by Przybycien of the 16-year-old girl as she died,” Cannon stated. Based on Przybycien’s actions, along with evidence collected, officials determined Przybycien played an active role in the death of the girl. Przybycien was subsequently arrested and booked in to the Utah County Jail. Bail for his release pending trial stands at $20,000 cash-only. The investigation into the teen’s death is ongoing, officials said Monday. He approached police & said he was with her when she died & he filmed ? Well that is quite different ! Now I’m thinking assisted suicide ? would an 18yr old and 16yr old be considered ‘millennials’ still? Hope that helps and follow the links I’ve included to learn more – again, these present one viewpoint among many. Born after 1996 and they cannot process the significance of 9/11. Pathetic. As a 1960’s youngster I could process the significance of Pearl Harbor and Hitler. What is happening to our youth and citizens is disturbing.